Whenever we see weeds or pests infesting our garden, our immediate reaction is to apply chemicals such as weed killers or conventional pesticides. But we have to know that as we use these substances to manage our lawn and garden, we are also being exposed to their harmful effects. Exposure to conventional pesticides and herbicides has been linked to Parkinson’s, infertility, cancer, birth defects, ADHD and lymphoma, to name a few. Even though you can’t see them,conventional pesticide residues, which are often more harmful than conventional pesticides themselves, remain in the home and lawn for 6 months up to several years. The law does not require the same standard of testing for residential use lawn conventional pesticides as it does for commercial conventional pesticides used around farmed animals and vegetation for food production. In both instances, conventional pesticide manufacturers are responsible for doing the efficacy & toxicity testing of their own products. The EPA reviews it, but does not test it themselves. There is not a true check and balance system. Lawn conventional pesticides contain ingredients which will never be tested for harmful effects simply because the current law in the USA doesn’t require it. In addition, the Center for Disease Control has reported an alarming number of cases related to farm worker illness from exposure to conventional pesticides used in food production. Stop Using Conventional Pesticides Today! Aside from harming humans, these insect killers also pollute the air, water, soil, plants, and animals all around us. Studies have shown that conventional pesticides harm the helpful insects like honeybees, butterflies, ladybugs (which eat a lot of other bad pests) and are highly toxic to toads, frogs, and fish. The scary thing is that these lawn fertilizers and conventional pesticides seep into the water table through rain, runoff, and storm drains! We should learn how to control pests without using harmful chemicals in order to help our health and our environment. Healthy organic soil is the best way to lessen the amount of pests in the first place. Plants grow quickly in organic environments because the healthy surroundings naturally fight off pests. 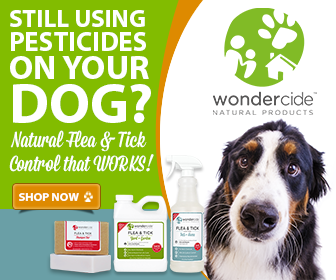 A safe bug killer is Wondercide Natural Home & Garden Insect Control. The active ingredient cedar oil (cedar oil extract) damages the wax coating of the insect’s respiratory system and suffocates it. Wondercide also makes a product called EcoTreat Outdoor Pest Control outdoor insect control that attaches to a water hose for easy application to your home lawn and garden. Beyond Pesticides – This contains fact sheets about specific chemical and what to do in a conventional pesticide emergency. They also provide the least toxic solutions for common household and garden pests. 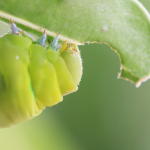 Northwest Coalition for Alternatives to Pesticides – They offer the latest news on conventional pesticide issues and healthy solutions to pest problems. Pesticide Action Network Pesticide Database – They have a database of conventional pesticide toxicity and other regulatory information. Their reference section provides information about conventional pesticides and their effects on our health. Food News – They offer a downloadable wallet card to help you choose produce which has a low exposure to harmful conventional pesticides. Great post! Thanks for such a detailed explanation on the product’s effects and ingredients. Thank you for sharing this. A new study links high pesticide levels in pregnant woman to lower IQ in the child by age 7.